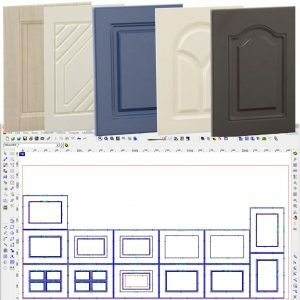 A spreadsheet view door manufacturing package with a pre built door library and optional pre set catalog. Easily modify the style of your door parametrically for a one off job or save in your list for future use; creating your own custom catalog. Simply add, remove or change tool layers allowing you to customise the groove of your door styles with ease. Add pricing, create your customer database and produce a report, which can be customised, of your door list while being only one click away from exporting the files for machining.